Car buying has never been so easy. Your hassle-free car buying experience starts here. Save time and money with AFFCU's Car Buying Service. Members save an average of $3,402** off MSRP. Why use AFFCU's Car Buying Service powered by TrueCar®? No cost. No obligation. 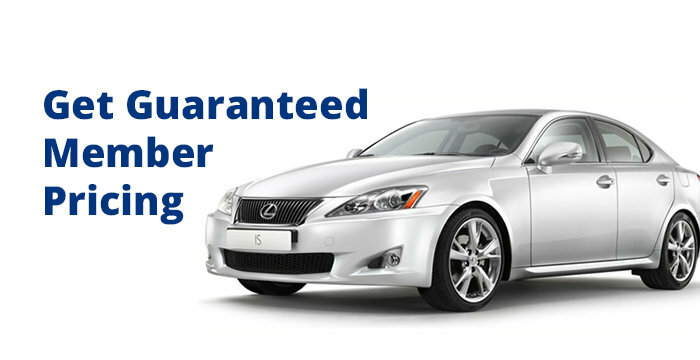 Get AFFCU member guaranteed savings on new cars or dealer-guaranteed prices on used cars. Work with our local, prescreened dealers to ensure a better, hassle-free car buying experience. Access unlimited Price and Market Reports, plus compare features, view pictures, read reviews, and check your trade-in value. 5 Easy Steps To A Better Car Buying Experience. Take advantage of our Car Buying Service, Powered by TrueCar®. Before you start, set your budget and know what you can afford. Get pre-approved before you buy and save even more with a low-rate AFFCU auto loan. AFFCU offers exceptional auto loan rates with vehicle financing up to 125% loan-to-value and terms up to 84 months. Apply for a loan. View Current Rates. Simplify your car search – research, read reviews and get pricing all in one place. Start your new or used vehicle search with AFFCU's Car Buying Service, powered by TRUECar®. Choose your price from multiple offers and print your Guaranteed Savings Certificate* before you go to the dealership for a hassle-free car buying experience. Members receive an average savings of $3,106** off MSRP. Use your Guaranteed Savings Certificate and AFFCU auto loan pre-approval at the dealership for a hassle-free car buying experience. You're ready to drive away in your new vehicle, but make sure to protect yourself and your new investment. Take advantage of low priced vehicle protection plans that can be rolled right into your loan balance – GAP, Auto Advantage with ADR, Mechanical Breakdown Protection, and Credit Life and Disability Insurance. Plus, make sure you have the right auto insurance coverage for your new vehicle. Check out coverage options from our great insurance partners. Car buying is a whole lot easier with AFFCU's Car Buying Service. *Guaranteed Savings represents the amount that a TrueCar Certified Dealer selected by you guarantees that you will save off the Manufacturer's Suggested Retail Price ("MSRP") on any in-stock vehicle that is the same make, model, and trim as your Ideal Vehicle. The Guaranteed Savings is based on a vehicle without factory or dealer installed options and includes generally available manufacturer incentives. **Between 7/1/18 and 9/30/18, the average savings off MSRP presented by TrueCar Certified Dealers to users of TrueCar powered websites based on users who received in-stock price offers and who TrueCar identified as purchasing a new vehicle of the same make and model as one of the in-stock price offers from a Certified Dealer as of 10/31/18, was $3,402. Your actual savings may vary based on multiple factors including the vehicle you select, region, dealer, and applicable vehicle specific manufacturer incentives which are subject to change. The MSRP is determined by the manufacturer, and may not reflect the price at which vehicles are generally sold in the dealer's trade area as not all vehicles are sold at MSRP. Each dealer sets its own pricing. Your actual purchase price is negotiated between you and the dealer. TrueCar does not sell or lease motor vehicles.